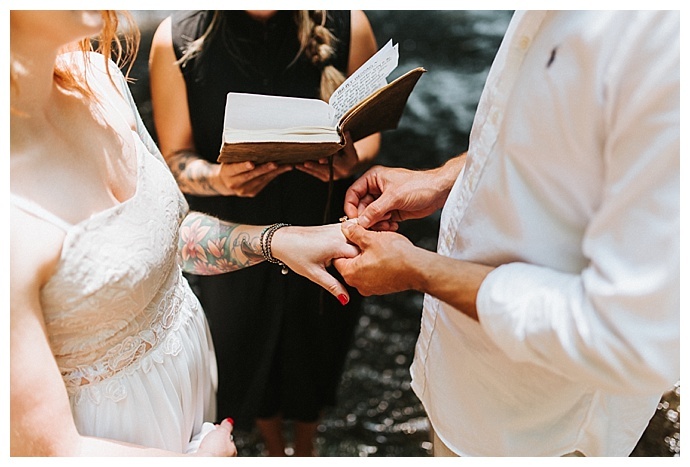 While most couples elect to spend the morning of their wedding quietly relaxing with champagne in hand, Austin and Jennie set out on a treacherous hike. 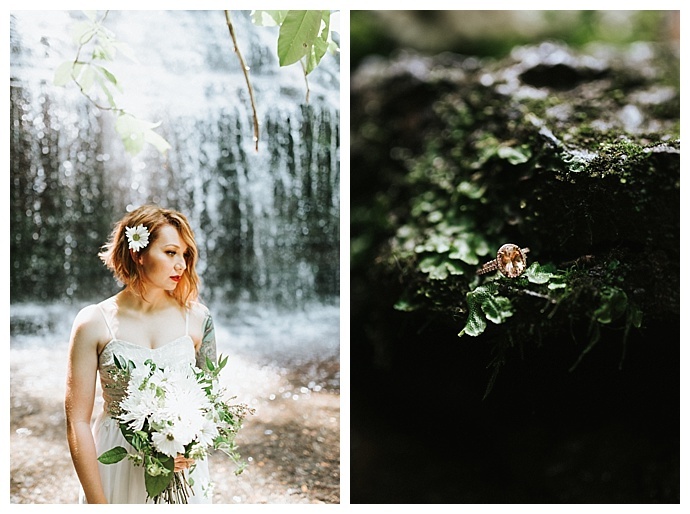 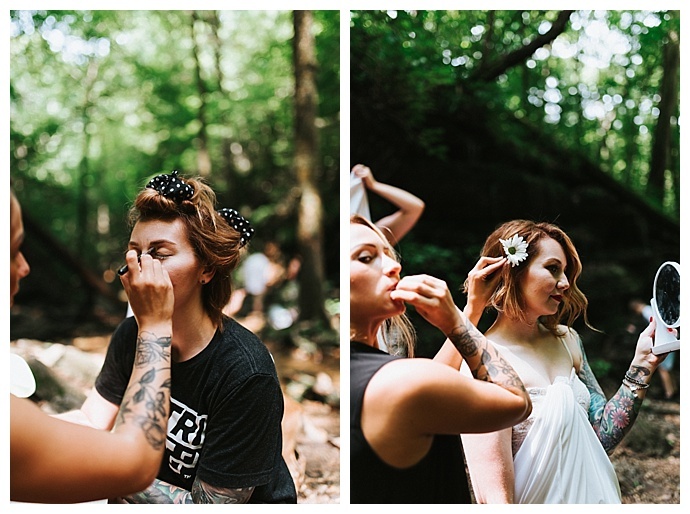 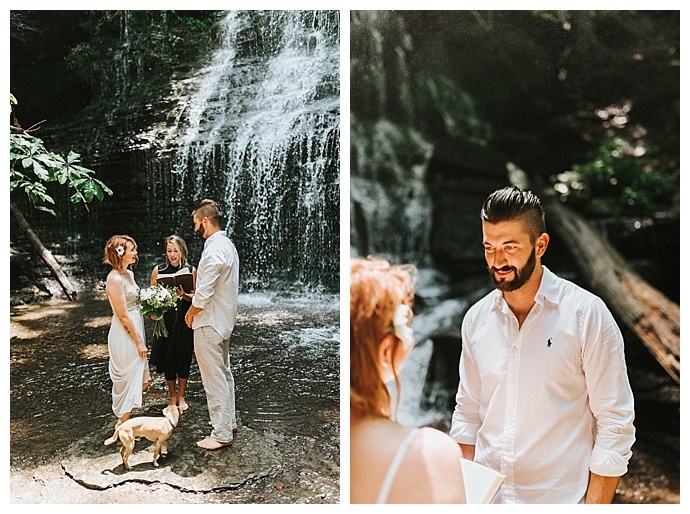 But it wasn’t just any hike — it was a hike to the foot of Machine Falls in Tullahoma, Tennessee, where they planned to elope, exchange vows and commit the rest of their lives to each other. 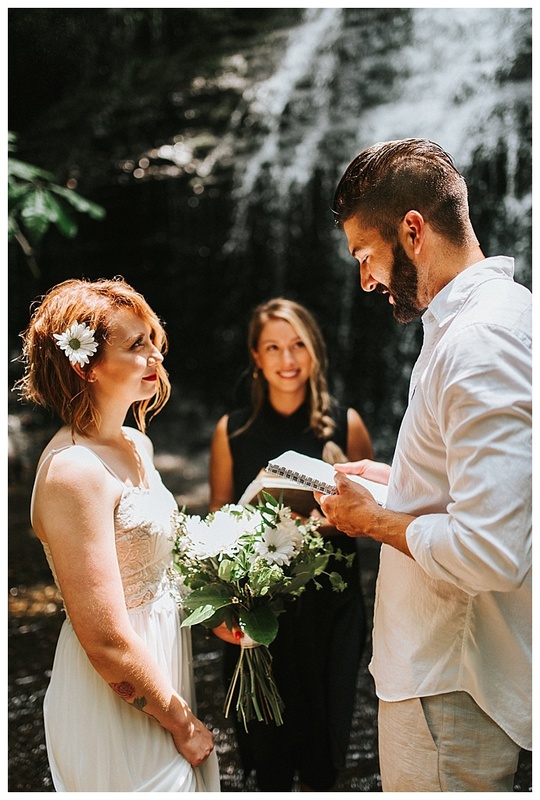 Ten of their friends and family joined Austin and Jennie for the excursion and looked on lovingly as the they said “I do” on a heart-shaped rock in the mist of the waterfall. 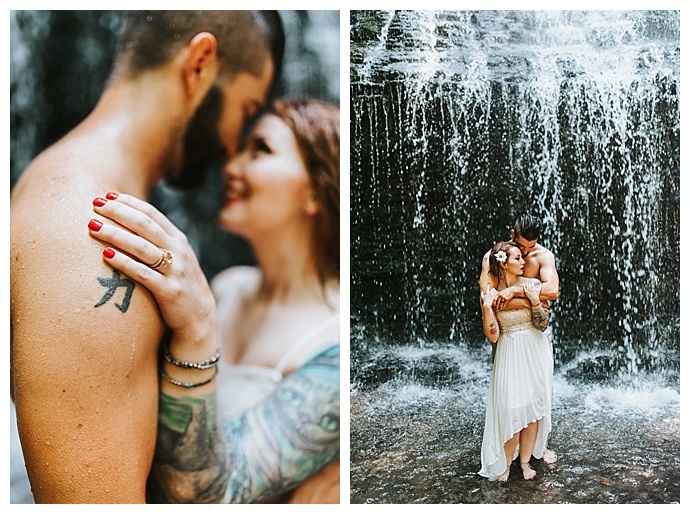 After the ceremony, Cedar and Sage Photography, captured some amazing photos of the blissful newlyweds in the water that are nothing short of pure romance. 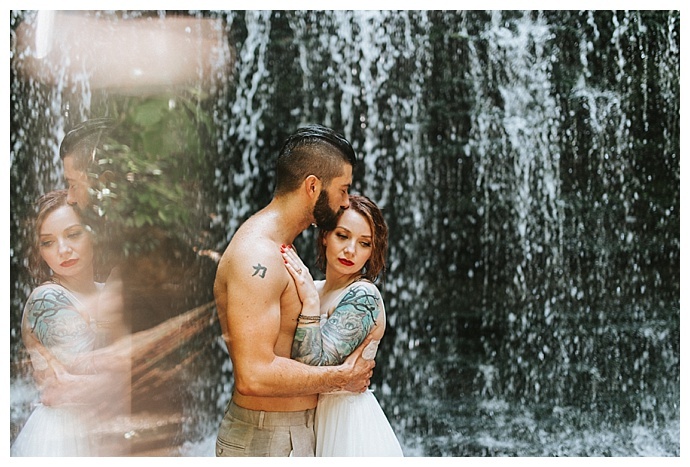 When they finally came across Machine Falls, a remote waterfall in Tullahoma, Tennessee, they knew they had found the place. 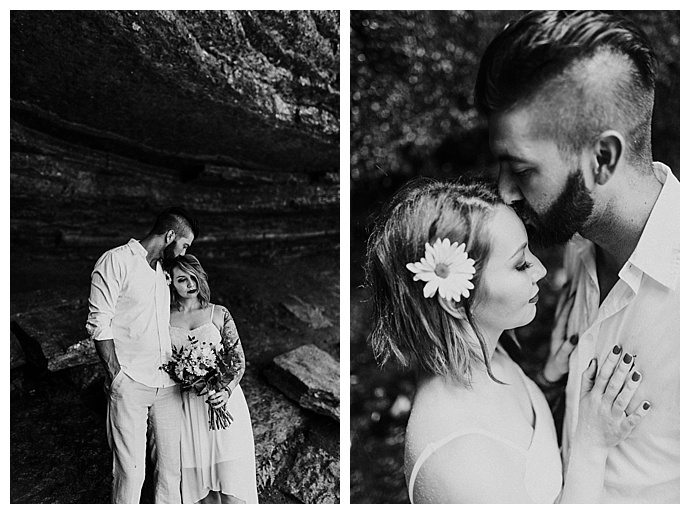 After an advanced 30-minute hike, Austin, Jennie and their crew finally reached the falls. 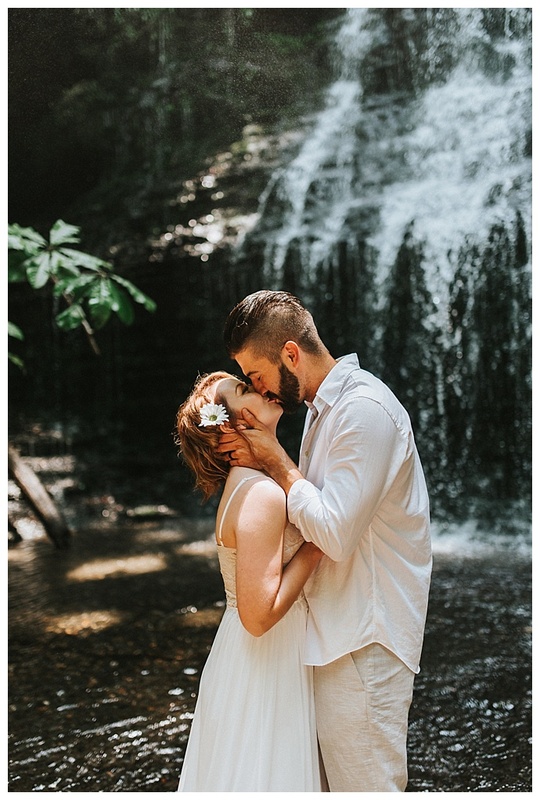 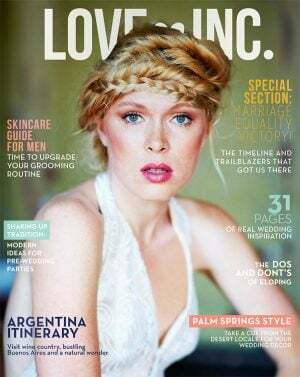 “We were married in the front of the falls on a heart-shaped rock that stood above the water just enough to barely keep our feet dry while slightly being kissed by the cool mist from the water,” Austin says. 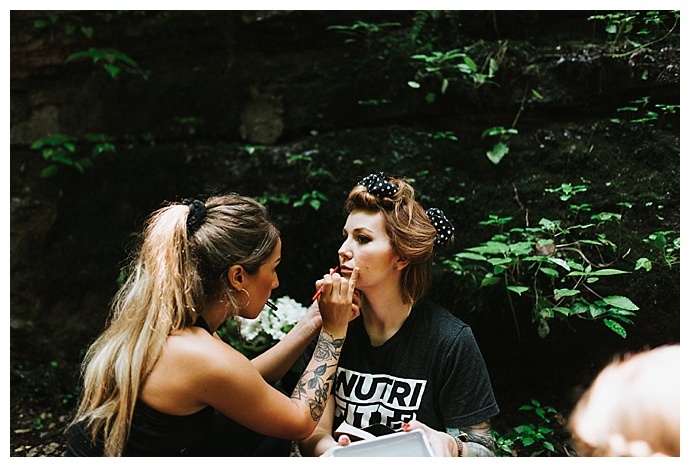 “Jennie’s best friend Courtney was our officiating minister, and she did an amazing job. 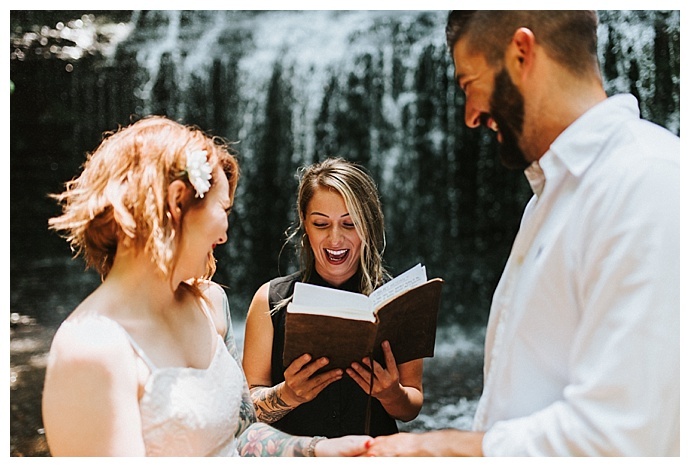 We both wrote our own vows, which is something we had always wanted to do.” After they were officially pronounced husband and wife, the newlyweds celebrated with champagne that they shared with their friends and family who had gone through so much to be with them on their special day.